Freedom of design is one of the main benefits of additive manufacturing. However, since designing for 3D printing significantly differs from designing for traditional manufacturing, it requires a new approach to design engineering. In order to create 3D printable, high-quality parts designers and engineers must therefore be armed with a knowledge of new approaches and requirements when designing for additive manufacturing. Although the particularities of each 3D printing technology and material dictates their specific design approaches, in this short guide we’ll highlight general design considerations that can be applied to all 3D printing techniques. And for a guide to some of the best CAD design software tools out there, check out our guide here. Overhangs are the protruding parts of a structure, and are often found in more complex designs. The key point to consider when designing parts with overhangs is the angle, as every 3D printer has its own limits and it’s important to ensure that the overhangs don’t exceed the allowable values. For example, the appropriate angle for FDM and SLA shouldn’t exceed 45 degrees. If the angle is greater than this, the overhangs will require additional supports to prevent damage to the part. Generally, it’s a good practice to reduce the number of overhangs, as this will limit the supports and therefore save printing time and material. This will also make post-processing much easier. The next crucial point to be considered during the design stage is wall thickness. Issues with wall thickness are among the most typical design problems and can cause print failures. If the walls of your part are too thin, this results in a very fragile print that can easily be broken or damaged. On the other hand, walls that are too thick cause internal stresses, leading to undesirable results such as cracking. Although the recommended minimum wall thickness mostly depends on the material in use and the overall design of the 3D model, the general rule of thumb is to make the walls a slightly thicker. A wall thickness of more than 0.8 mm generally allows for the successful printing of parts with all 3D printing methods. 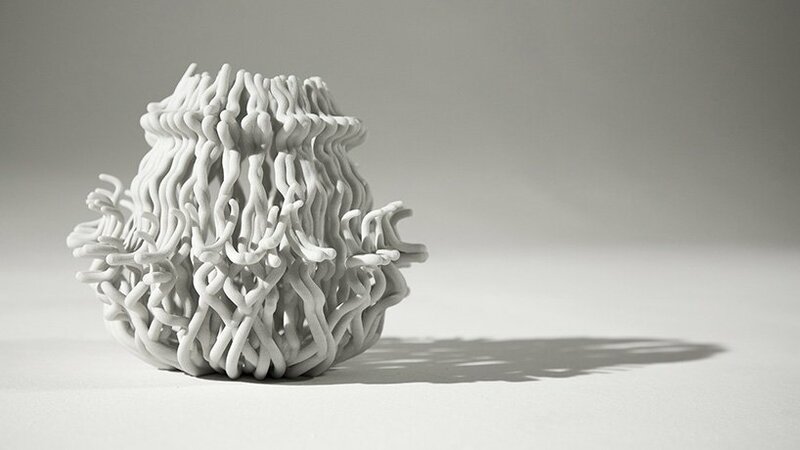 The 3D printing process typically involves changes within the material, as it is sintered, melted or heated in some other way. However, problems usually occur as the material cools, as this causes warpage or shrinkage which in turn results in cracking and deformation. Parts with long, flat surfaces are especially prone to shrinkage because heat treatment induces lengthwise contraction. Deformation can also be generated by sharp corners as they act as stress concentration points. However, with the right design, these issues can be avoided. Consider adding a rounded brim instead of sharp corners to a 3D model and try to avoid long flat surfaces. As the corners are rounded off, the stress can be distributed more evenly. Fillets are also can be designed into a 3D model to mitigate warping at the contact area of a build plate and bottom surface of a part. To ensure a good quality print it’s important to consider the level of detail and to choose the right resolution for your part. Naturally, the level of detail depends on the 3D printing technology and materials used. However, designing a model with extreme level of detail can lead to 3D printers simply unable to print an object. So make sure to design details according to the specifications of your 3D printer. A successful print always begins with a correctly designed 3D model. Other important factors for designers to consider include the material and type of 3D printing technology that will be used, basic design rules are in many ways determined by these key factors. Ultimately, exploring design considerations and requirements will be the first step in ensuring a successful printing process.